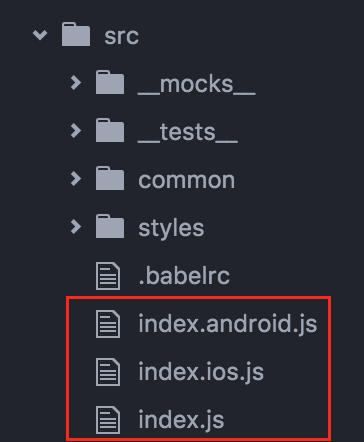 As I wrote the Started Project, I wanted to refactor my code so that all my "Entry Point Code Files" reside in the same "src" directory. 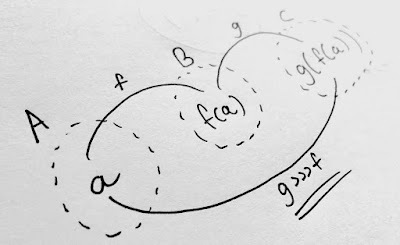 This makes the Project Structure clean and readable. 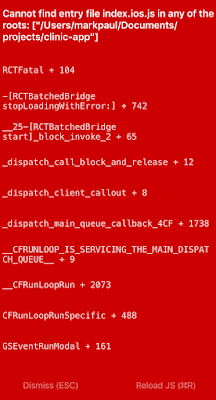 Entry Point Code Files as basically the first files that are loaded into the iOS, Android compilers. 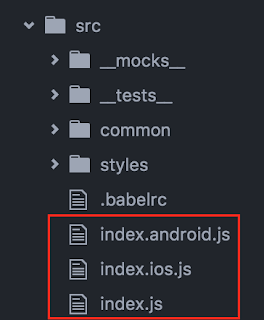 I dug around and it seems as though the location of my index.ios.js was hardcoded into a file within the scaffold. 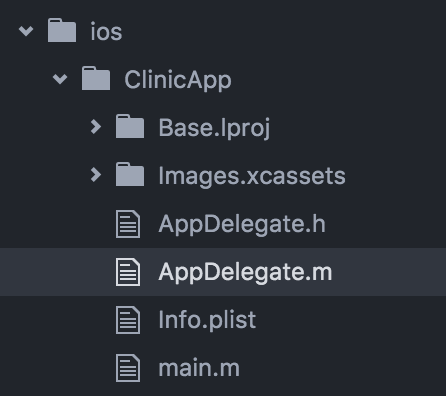 I found this unusual and looked for a way to "programmatically" change the location of my file (instead of updating the core scaffold files in the "ios" directory), unfortunately I could not find a solution. So what do you need to do to update the Starter File location for iOS? It's a dirty hack and not my preferred way to so this, but until there is a official clean way to do it, it will have to do. 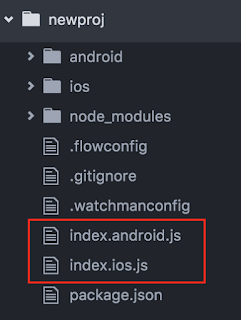 "Cannot find entry file index.ios.js in any of the roots:"... "Command /bin/sh failed with exit code 1"
I dug around and worked out that at times the none_modules/react-native/packager/react-native.xcode.sh file was still referencing the entry file as index.ios.js from the root. This is so Hacky I know! 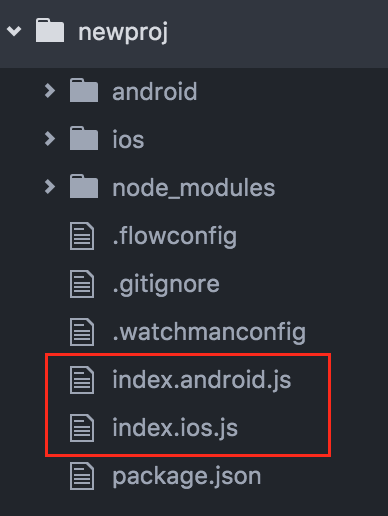 but React Native seems to have all these weird issues. Hopefully it matures soon. Thanks for your post. This help me to find out solution to fix it. 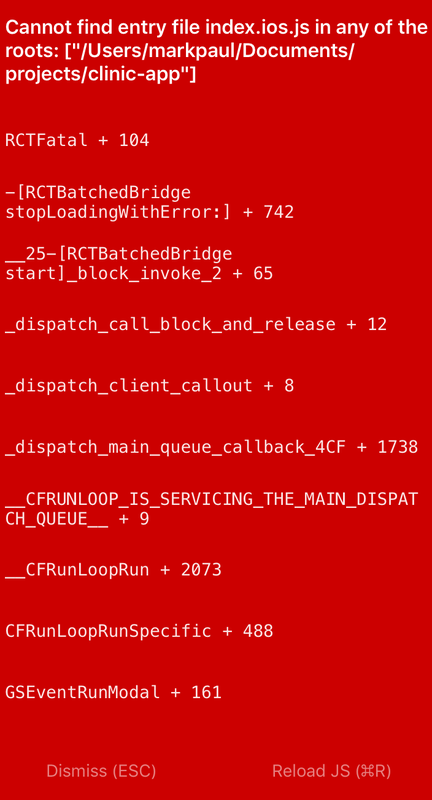 However I try not to change boilerplate code. For now I am going to use the root location to keep index.ios.js file. But you don't mention how to do it for android too?